Barkan, Ömer Lütfi. 1966. 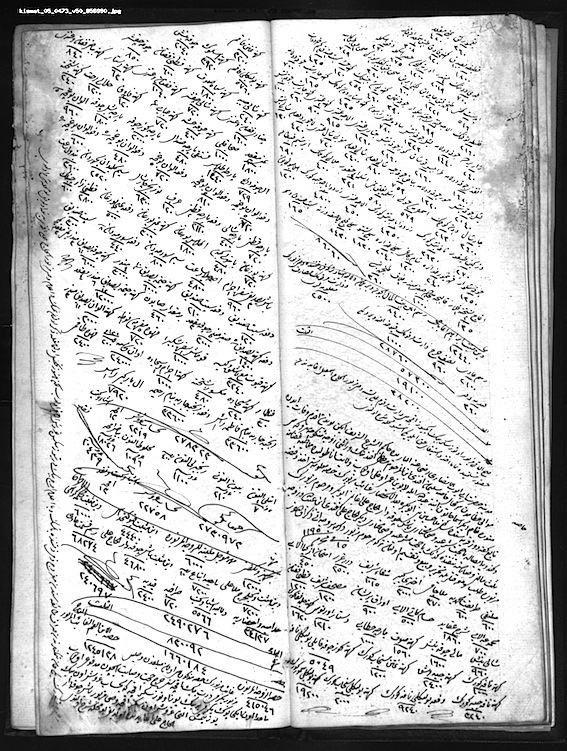 “Edirne Askeri Kassamı’na ait Tereke Defterleri (1545-1659),” Belgeler 3(5-6): 1-479. Nagata Yuzo. 1976. Some Documents on the Big Farms (Çiftliks) of the Notables in Western Anatolia. Tokyo: Institute for the Study for of Languages and Culture of Asia and Africa, 1976. –––. 1979. Materials on the Bosnian Notables, Tokyo: Institute for the Study of Languages and Cultures of Asia and Africa. Yılmaz, Coşkun, ed. 2010. İstanbul Kadı Sicilleri: Üsküdar Mahkemesi 2 Numaralı Sicil (H. 924–927 / M. 1518-1521). İstanbul: İslâm Araştırmaları Merkezi,. Anastassiadou, Meropi. 2000. “Des défunts hors du common: les possesseurs de livres dans les inventaires après décès musulmans de Salonique.” Turcica 32: 197-252. Artan, Tülay. 1998. “Terekeler Işığında 18. Yüzyıl Ortalarında Eyüp’te Yaşam Tarzı ve Standartlarına Bir Bakış: Orta Halliliğin Aynası.” 18. Yüzyıl Kadı Sicilleri Işığında Eyüp’te Sosyal Yaşam ed. Tülay Artan, içinde, 49–64. İstanbul: Tairh Vakfı Yurt Yayınları. Canbakal, Hülya. 2009. “Reflections on the Distribution of Wealth in Ottoman Ayntab.” Oriens 37(1): 237-252. –––. 2011. “Barkan’dan Bu Yana Tereke Çalışmaları.” Vefatının 30. Yıldönümünde Ö. L. Barkan: Türkiye Tarihçiliğine Katkıları ve Etkileri Sempozyumu’na sunulan bildiri, İstanbul. URL: http://research.sabanciuniv.edu/17249/1/CANBAKAL_BARKAN.pdf. Çakır, İbrahim Etem. 2012. 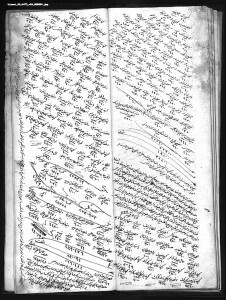 “Osmanlı Toplumunda Eş ve Çocuk Sayısı, Statü, Servet: 1671-1678 Sofya Örneği.” OTAM 31: 41-60. Demirel, Ömer. 1990. “1700-1730 Tarihlerinde Ankara’da Ailenin Niceliksel Yapısı.” Belleten 54(211): 945-961. Ergene, Boğaç A. 2002. “Costs of Court Usage in Seventeenth- and Eighteenth-Century Ottoman Anatolia: Court Fees as Recorded in Estate Inventories.” Journal of Economic and Social History of the Orient 45(1): 20-39. Ergene, Boğaç A., and Ali Berker. 2008. “Wealth, Poverty and Inequality in the Ottoman Empire: Observations from Eighteenth-Century Kastamonu.” International Journal of Middle East Studies 40 (2008): 23-46. –––. 2009. “Inheritance and Intergenerational Wealth Transmission in Eighteenth-Century Ottoman Kastamonu: An Empirical Investigation.” Journal of Family History 34(1): 25-47. Ergene, Boğaç A., Atabey Kaygun, and Metin M. Coşgel. 2013. “A Temporal Analysis of Wealth in Eighteenth-century Ottoman Kastamonu.” Continuity and Change 28(1): 1-26. Ergene, Boğaç A., and Atabey Kaygun. 2014. “Loglinear Analysis of Intergenerational Mobility in Eighteenth-Century Ottoman Anatolia.” Journal of the Economic and Social History of the Orient 57: 669-702. Erünsal, İsmail E. 2013. Osmanlılarda Sahaflık ve Sahaflar. İstanbul: Timaş. Establet, Colette et Jean-Paul Pascual. 1992. “Damascene Probate Inventories of the 17th and 18th Centuries: Some Preliminary Approaches and Results.” International Journal of Middle East Studies 24(3): 373-393. –––. 1994. Familles et fortunes à Damas: 450 foyers damascains en 1700. Damas: Institut Français d’études arabes de Damas. –––. 1998. Ultime voyage pour la Mecque: les inventaires après décès de pèlerins morts à Damas vers 1700. Damas: Institut français d’études arabes de Damas. –––. 1999. “Les livres des gens à Damas vers 1700.” Revue des mondes musulmans et de la Méditerranée 87/88, Livres et lecture dans le monde musulman, ed. Frédéric Hitzel, 143-170. –––. 2002. “Women in Damascene Families around 1700.” Journal of the Economic and Social History of the Orient 45(3): 301-319. –––. 2011. La gent d’État dans la société ottomane damascène: les ‘askar à la fin du XVIIe siècle. Damas: Presses de l’Ifpo et IREMAM. Establet, Colette, Jean-Paul Pascual et André Raymond. 1994. “La mesure de l’inégalité dans la société ottomane: utilisation de l’indice de Gini pour le Caire et Damas vers 1700.” Journal of the Social and Economic History of Orient 37(2): 171-182. Faroqhi, Suraiya. 2000. “From the Slave Market to Arafat: Biographies of Bursa Women in the Late Fifteenth Century.” Turkish Studies Association Bulletin 24: 3-20 (reprinted in id., Stories of Ottoman Men and Women, Istanbul: Eren, 2002). –––. 2004. “Female Costumes in Late Fifteenth-century Bursa.” In Ottoman Costumes: From Textile to Identity, ed. Suraiya Faroqhi and Christoph K. Neumann, 81-91. Istanbul: Eren. Göçek, Fatma Müge. 1996. Rise of Bourgeoisie, Demise of Empire: Ottoman Westernization and Social Change. New York: Oxford University Press. Göçek, Fatma Müge, and Marc David Baer. 1997. “Social Boundaries of Ottoman Women’s Experience in Eighteenth-Century Galata Court Records.” In Women in the Ottoman Empire: Middle Eastern Women in the Early Modern Era, ed. Madeline Zilfi, 48-65. Leiden: Brill. Gradeva, Rossitsa. 2005. “Toward a Portrait of ‘the Rich’ in Ottoman Provincial Society.” In Provincial Elite in the Ottoman Empire, ed. Antonis Anastasopoulos, 149-199. Rethymo: Crete University Press. Grehan, James. 2007. Everyday Life and Consumer Culture in Eighteenth-Century Damascus. Seattle: University of Washington Press. Hanna, Nelly. 2003. In Praise of Books: A Cultural History of Cairo’s Middle Class, Sixteenth to the Eighteenth Century. Syracuse: Syracuse University Press. İnalcık, Halil. 1953-54. “15. Asır Türkiye İktisadî ve İctimaî Tarihi Kaynakları.” İstanbul Üniversitesi İktisat Fakültesi Mecmuası 15(1-4): 51-67. –––. 1969. “Capital Formation in the Ottoman Empire.” The Journal of Economic History 19: 97-140. Karababa, Eminegül. 2012. “Investigating Early Modern Ottoman Consumer Culture in the Light of Bursa Probate Inventories.” Economic History Review 65(1): 194–219. Matthews, Joyce Hedda. 2000. “Toward an Isolario of the Ottoman Inheritance Inventory, with Special Reference to Manisa (ca. 1600-1700).” In Consumption Studies and the History of the Ottoman Empire, 1550-1922: An Introduction, ed. Donald Quataert, 45-82. Albayn: State University of New York Press. Meriweither, Margaret L. 1999. The Kin Who Count: Family and Society in Ottoman Aleppo, 1770-1840. Austin: University of Texas Press. Özdeğer, Hüseyin. 1988. 1463-1640 Yılları Bursa Şehri Tereke Defterleri. İstanbul: İstanbul Üniversitesi Türk İktisat ve İçtimaiyat Tarihi Araştırmaları Merkezi. Özdemir, Rifat. 1989. “Kırşehir’de Ailenin Sosyo-ekonomik Yapısı (1880-1906).” Osmanlı Araştırmaları 9: 101-157. Öztürk, Mustafa. 1991. “Osmanlı Dönemi Fiyat Politikası ve Fiyatların Tahlili.” Belleten 55 (212): 87-100. Öztürk, Said. 1995. Askeri Kassama Ait Onyedinci Asır İstanbul Tereke Defterleri: Sosyo-ekonomik Tahlil. İstanbul: Osmanlı Araştırmaları Vakfı. –––. 2000. “19. Asrın Başlarında Kayseri’de Ailelerin Sosyal ve Ekonomik Durumu üzerine Bazı Gözlemler.” İstanbul Üniversitesi Edebiyat Fakültesi Tarih Dergisi 36: 441-452. Sabev, Orlin. 2006. İbrahim Müteferrika ya da İlk Osmanlı Matbaa Serüveni (1726-1746): Yeniden Değerlendirme. İstanbul: Yeditepe Yayınevi. –––. 2009. “Rich Men, Poor Men: Ottoman Printers and Booksellers Making Fortune or Seeking Survival (Eighteenth-Nineteenth Centuries).” Oriens 37: 177-190. Seng, Yvonne J. 1994. “Standing at the Gates of Justice: Women in the Law Courts of Early Sixteenth Century Üsküdar, Istanbul.” In Contested States: Law, Hegemony, and Resistance, ed. by Mindie Lazarus-Black and Susan F. Hirsch, 184-206. –––. 1996. “Fugitives and Factotums: Slaves in Early Sixteenth-Century Istanbul.” Journal of Economic and Social History of the Orient 39(2): 136-169. Todorov, Nikolaĭ. 1976. “Le numéraire de successions en tant que signe de differentiation de la population urbaine.” Rocznik orientalistyczny 38: 283-289 (Reprinted in id., La ville balkanique sous les Ottomans (XV-XIXe s.), London: Variorium, 1977). Veinstein, Gilles. 1978. “Note sur les inventaires après décès ottomans.” In Quand le crible était dans la paille: hommage à Pertev Naili Boratav, ed. Rémy Dor et Michèle Nicolas, 383-395. Paris: G.P. Maisonneuve et Larose. Veinstein, Gilles et Yolande Triantafyllidou-Baladié. 1980. “Les inventaires apres déces ottomans de Crete.” In Probate Inventories: A New Source for the Historical Study of Wealth, Material Culture, and Agricultural Development: Papers Presented at the Leeuwenborch Conference (Wageningen, 5-7 May 1980), ed. Ad van der Woude and Anton Schuurman, 191-204. Utrecht: HES.